Located in the beautiful Koffler Centre, this is a great place to find academic resources, from computer manuals to dictionaries. As the campus’ biggest bookstore, you can also find UofT merchandise. Located on the 2nd floor, the UofT Computer Shop sells computer systems, laptops, printers, software and more. Offers prayer and meditation rooms and hosts events throughout the year. Any student interested in pursuing graduate studies at UofT should visit SGS. 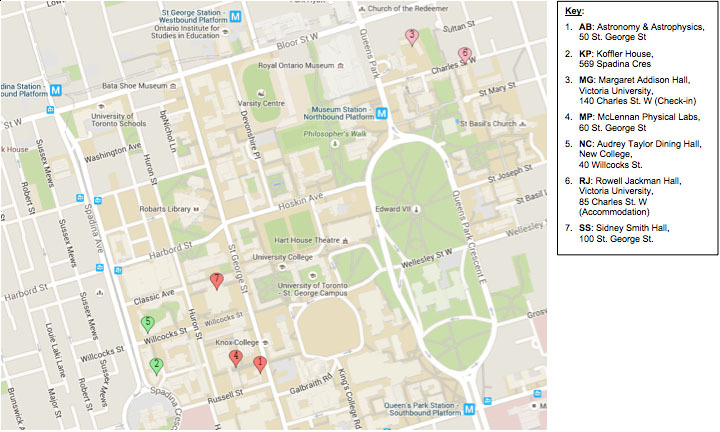 Note: If you are unable to find an on-campus resource, facility or academic department/faculty, please refer to the University of Toronto’s on-line A-Z Directory.